Momma is in charge of the house, she has cooked, cleaned, worked and has continued to remind her two children about the house rules. Now her son Caleb listened and stopped but her daughter Paris kept misbehaving. When is enough, enough for parents and how do children learn to obey rules? 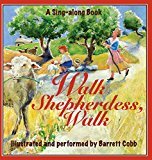 Walk Shepherdess, Walk by Barrett Cobb is a multi-media picture book for both kids and adults. Using a favorite American folk song from her childhood, Barrett composed an arrangement for voice, flute and piano, and created illustration for each musical phrase. She also wrote a back-story for the song. 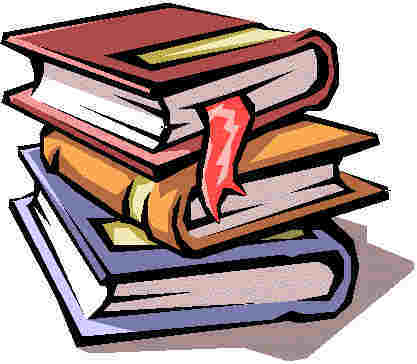 The reader is meant to listen to the music (which can be downloaded) while looking at the pictures and reading the story. In the near future, strange alien beings known as the Dhin, visited Earth. Communication with the enigmatic aliens proved problematic. The Dhin suddenly departed, without explanation, leaving a few samples of their technology. The technology seems to bend some of the fundamental laws of physics. Wide knowledge of these events would have caused chaos, so the powerful Coalition Security agency (the "child" of today's NSA) strives to maintain secrecy. The Coalition is an EU-like government spanning most of the Northern hemisphere, and holds a structure with a prime minister and parliament rather than the current US system. As Coalition researchers explore the alien technology, their discoveries turn our understanding of physics inside out. In this near-future tale, humanity faces numerous challenges. Recent advancements in Artificial Intelligence then led to AI management of most economic and political affairs. Unfortunately, even AI are not perfect, and some volatility and conflict remain. Not everyone agrees the AIs are aligned with our best interests. human affairs decide is the best course of action? Could one man, Jake Askew a test pilot, make a difference? These questions are answered throughout the course of the novel as our protagonist Jake takes a series of eventful test flights. We learn that the AIs are not the impassive objective benefactors one might think, and that they are not all in agreement on the best course of action. The security agency CoSec, and its director Josef Krawczuk have a distinct agenda that is at odds with that of the AI governors. All this builds to a multifaceted crisis that highlights human bravery and exploratory drive, the risks of unfettered AI, and the dangers of a deep state with its own agenda. When the Academy of Television Commercials Arts and Sciences is forced to relocate its annual awards ("Fritos") presentations from Las Vegas, civic leaders in Oklahoma City ("OKC") ---- eager to prove their's is a big league venue capable of hosting the internationally celebrated event ---- roll out the proverbial red carpet. Stars of television commercials ("TVCs") ---- Colonel Sanders, Flo, The Most Interesting Man in the World, Mrs. Fletcher, the retired LifeCall lady, and others ---- arrive in town despite anonymous death threats, bringing in their wake, however, widespread misfame and misfortune. Shirley Parker, a woman scorned by Allstate Insurance Company's TVC star, Mr. Mayhem, is clearly bent on spiteful vengeance, but against exactly whom? for Farmers Insurance Company, who is so happy to welcome one and all into his employer's Hall of Claims? Yes, Clo ---- the "Transgressive Insurance Girl" ---- is consumed with envy of her more famous twin sibling, Flo ---- "The Progressive Insurance Girl" ---- but would she actually plot sororicide? And why would famous Hollywood producer/ director Deano DeBoffo plant a newspaper story hinting that Flo, potential star of his own docudrama series ---- What's In Your Wallet? ---- is a femme fatale possibly guilty of other foul play? OKC civic leaders, convinced that all the troubles and bad publicity besetting their city are the results of a conspiracy directed against the locally-based Sonic chain of drive-in eateries, call in the F.B.I. and Department of Homeland Security. the OKC Tinseltown SCENE ---- who figures out why anyone would intentionally set out to make OKC look unglamorous. Exhumation, the first Act of the Sojourner, is an adventure story with Mystery/Thriller elements, set in the fantasy realms of Existentia. Exhumation is a tale of treachery, sedition and intrigue. But more importantly – Exhumation is a tale of fidelity, integrity and love - owards those nearest and dearest and to an ideal of something greater than the self. It is the tale of our protagonist Pious Argentum as he unknowingly embarks on a journey of unwilling self-discovery, where a subjective truth is buried deep in the recesses of a lie and manipulated like the softest of clay. It is a journey where even the idea of one’s self is thrown to the wolves of questioning. Pious is haunted by hallucinations, dreams and nightmares - of an ever blackened world where he is relentlessly pursued by an horrendous predator. You will first set foot into the impenetrable, walled city of Sanctuary – the secular and socialistic capital of the Elysian Concordat. Sanctuary used to be great - but it is not so great anymore. Lots of unhappy common people, who harbour a resentment to those who dwell in the protected heart of the city - the Sanctum. Those of Sanctum are primarily sustained by the blood, sweat and tears of the common folk - the Operarius who dwell in the Districts of Sanctuary. Those of Sanctuary are the opposite to their distant cousins, the religious and superstitious zealots - the Attarans, who dwell in the city of Attamerus, a tremendous mechanised fortress-city deep in the heart of Shayde. The deities worshiped by the Attarans are considered by those of Sanctuary as nothing more than the Virtuous or Iniquitous emotional states of which people must uphold or contest. You will follow Pious, the stoic Prime Prefect of the Praetorium – Sanctuary’s defence and policing force - as he foolheartedly pursues the enemies of Sanctuary’s ideals and becomes entangled in a web of pre-conceived deceit and betrayal, where both friends and enemies rise and fall like the tide. Will you foil the plot before it’s too late? Can you follow the clues and unravel the many mysteries that beg to be solved? Will you dare ask the questions that require an answer? Believe nothing that you hear and half of what you see – and more importantly… Trust no one. It's now the late-Summer of 1767. As the eagerly anticipated sequel to Beyond Derrynane opens, having spent almost six eventful years at the court of Maria Theresa, Eileen O’Connell has availed herself of a fortuitous opportunity to travel back to Ireland. Her vivacious personality matched only by her arresting physical presence, Eileen returns to Derrynane this time not as a teenage widow but, rather, as one of the most recognised figures at the glittering Habsburg court. Before departing Ireland several months later, she experiences a whirlwind romance, leading to a tumult of betrayal and conflict within the O’Connell clan. Once back in Vienna she unexpectedly finds her responsibilities as governess to the youngest Habsburg archduchess now linked to relations between France and Austria. In the continuing saga, the O'Connells will confront intrigue, romance - even violence. Despite their innate wisdom, cunning and guile, what their futures hold remains to be seen. With his uniquely-descriptive prose, Kevin O’Connell again deftly weaves threads of historical fact and fancy to create a colourful tapestry affording unique insights into the courts of eighteenth-century Catholic Europe as well as Protestant Ascendancy–ruled Ireland. Watch as the epic unfolds amongst the O’Connells, their friends and enemies, as the tumultuously-dangerous worlds in which they dwell continue to gradually - but inexorably - change. Along with Beyond Derrynane, Two Journeys Home - and the two books to follow in The Derrynane Saga - comprise an enthralling series of historical novels, presenting a sweeping chronicle, set against the larger drama of Europe in the early stages of significant change, dramatising the roles, which have never before been treated in fiction, played by a small number of expatriate Irish Catholics of the fallen “Gaelic Aristocracy” at the courts of Catholic Europe, as well as relating their complex, at times dangerous, lives at home in an Ireland still controlled by the Sassenach. In addition to Eileen's, the books trace the largely-fictional lives of several other O'Connells of Derrynane, it is the tantalisingly few facts that are historically documented about them which provide the basic facts which give rise to the tale, into which strategic additions of numerous historical and fictional personalities and events mesh seamlessly. When Steve buys the historic Akron Hotel for a steal, he considers himself lucky. To own an iconic property and run his own bar and restaurant at such a young age—it’s a dream come true. Little does he know that the hotel is haunted, and when Wendy Kulbrick—one of the servers—is found murdered on the third floor of the hotel, Steve’s dream turns into a nightmare. and there’s no murder weapon in sight. Two people have keys to the only two doors to the stairway—Steve and his restaurant manager—and both have strong alibis. But as Sergeant Mike O’Brien interviews hotel employees, he realizes that everyone had a motive to kill Wendy. Blackmail, burglary, a love affair, and other secrets are revealed as O’Brien takes an unusual approach to unraveling this locked-room murder mystery: seeking the help of Molly McCutcheon’s ghost, which haunts the hotel. Legend has it she’s protecting something entrusted to her by a US president for safekeeping. When an investigative séance is held, surprising revelations come to light. If you have not done so, please click on the link below and "like" the Bestsellersworld.com Facebook Page. So far we have 181 "likes". We are slowly making progress. One random winner will be chosen to receive a copy of A Murder on the Orient Express (Beautiful New Hardcover Edition) . Click on book cover for more information and to enter. One random winner will be chosen to receive a copy of End Game by David Baldacci. Click on book cover for more information and to enter. Winners has been notified. We are waiting for confirmation. If you recently received an email from me regarding some type of system to win a lottery, please know that my account was hacked and someone sent these emails to my newsletter list. Please be assured that I would not send any type of emails of this nature to you. If it happens again, just delete the email. Please do not purchase anything from this scammer!